Thank you for your interest in being part of our volunteer community! Volunteers serve a key role in the life of the Grand Marais Art Colony. In a given week, volunteers care for our grounds, sort recycling, welcome visitors in our Gallery Store, provide needed administrative assistance, and support classroom set-up. 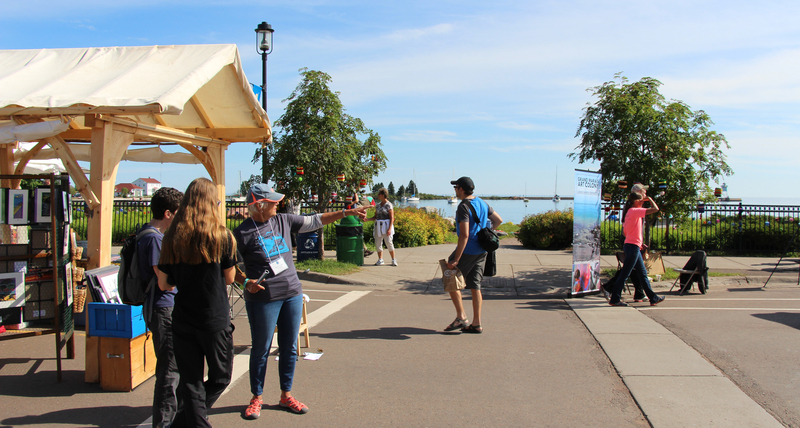 Art Colony volunteers help make beloved events such as the Grand Marais Arts Festival and the North Shore Readers and Writers Festival possible through packet stuffing, set-up, and offering hospitality to participants and visitors alike. Volunteers are integral to our mission and what we are able to offer. Come join us! How can you get involved as a volunteer? Click the Volunteer Application Form below. The Art Colony Work Study Program allows students with interests in supporting the arts, arts administration, events, and teaching, to consider taking on a more pivotal role within the Art Colony’s daily operations while earning class tuition credit. While work-study positions are open to anyone, we particularly encourage those potential and current students who have financial need to consider this option.